Fitch Rona EMS is expected to open it’s hiring process on March 25th, 2019. Visit our recruitment page for information on how to apply. We are proud to present our first segment of EMS in 60 Seconds. During these segments we will present EMS related topics, safety information and helpful medical tips. Since receiving a donation from EPIC in 2012, Fitch-Rona EMS has been working on creating a paramedic bicycle program. This allows paramedics a more mobile presence at special events and throughout the District. Prior to the implementation of the bicycles, personnel would work special events within the community by staffing an ambulance. The problem was that this ambulance could not easily move through large crowds and congested streets. This bicycle patrol offers the maneuverability needed to get through crowds and over terrain that vehicles cannot. Our program implementation follows a stepped approach. In order to ensure safe, responsible use of the bicycles, Fitch-Rona enrolled a paramedic in a national EMS cyclist course through IPMBA (International Police Mountain Bike Association). This course is 32 hours in length and requires the student to pass a written test as well as several on-bike skills in order to be certified. We also sponsored this paramedic through a “train-the-trainer” Instructor course consisting of an additional 40 hours of classroom and bicycle skills. With this course, he is qualified to train other members of Fitch-Rona EMS. Riding a bicycle safely in a crowd weighted down with emergency response equipment takes skill. In order for any of our other paramedics to act as bicycle medics, they must complete a course that includes classroom as well as on-bike skills overseen by our IPMBA instructor. The accumulation of equipment and training of personnel occurred in 2013. Whenever we have a paramedic bicycle unit at an event, the Dane County 911 Dispatch Center will be notified. The bike medic will carry a radio much the same as our Paramedics do while in the ambulance. This radio will allow communications with the 911 Center, local law enforcement and fire departments as well as responding ambulance personnel. 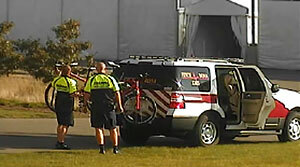 If an ambulance is needed at an event, the 911 Dispatcher will dispatch an ambulance and notify the bike medic that there is an incident simultaneously. Typically the bicycle paramedic will arrive at the patient first due to the maneuverability of the bike. Once contact is made, the paramedic will assess the situation and notify the incoming ambulance. There will be times when the bicycle paramedics come upon a person in need of medical attention without being dispatched by 911. In those situations, the paramedic will initiate communications with the 911 Center and if needed request a transporting ambulance. Fitch-Rona EMS’ bicycle paramedics follow current Dane County protocols and have the ability to assess and treat minor illness/injury up to life threatening emergencies. The bicycle program is intended to arrive on the scene rapidly, assess and stabilize the patient prior to the arrival of the ambulance. Treatments that the paramedics can render include but aren’t limited to diabetic emergencies, breathing problems, cardiac arrests, heat and cold emergencies, bee stings/allergic reactions, and simple cuts or scrapes. 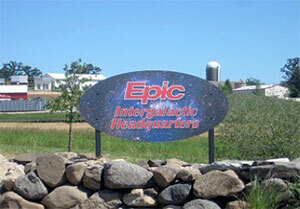 Fitch-Rona EMS is very thankful for the generous donation from EPIC. Without this funding, we would not have been able to bring this program to fruition. We believe the bicycle paramedic response program will greatly benefit the people in our community. Thank You EPIC!